Just when you think there is nothing left to Pantone-ify, ROOM Copenhagen comes out with a new tableware/kitchenware and desk accessories line. 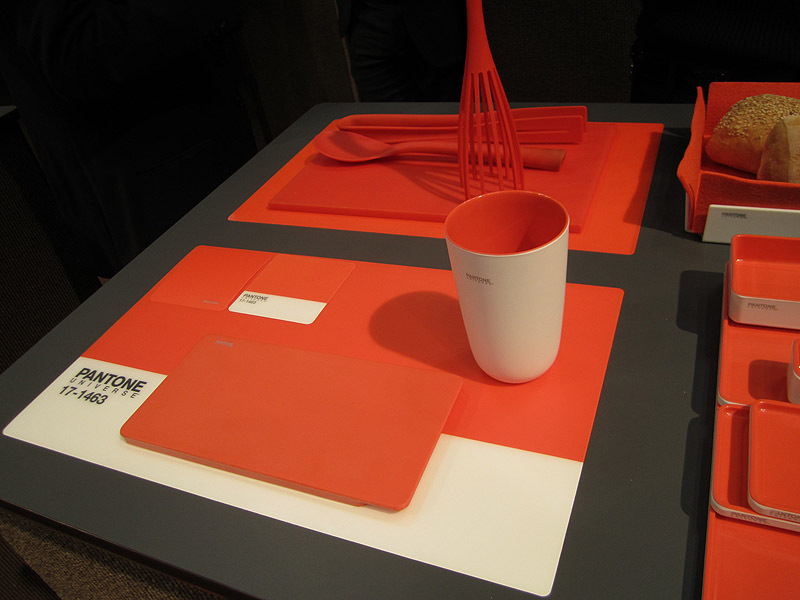 I spotted these lovely pieces—the silky matte feel of the polypropylene is hard to resist touching—at the NYIGF yesterday. 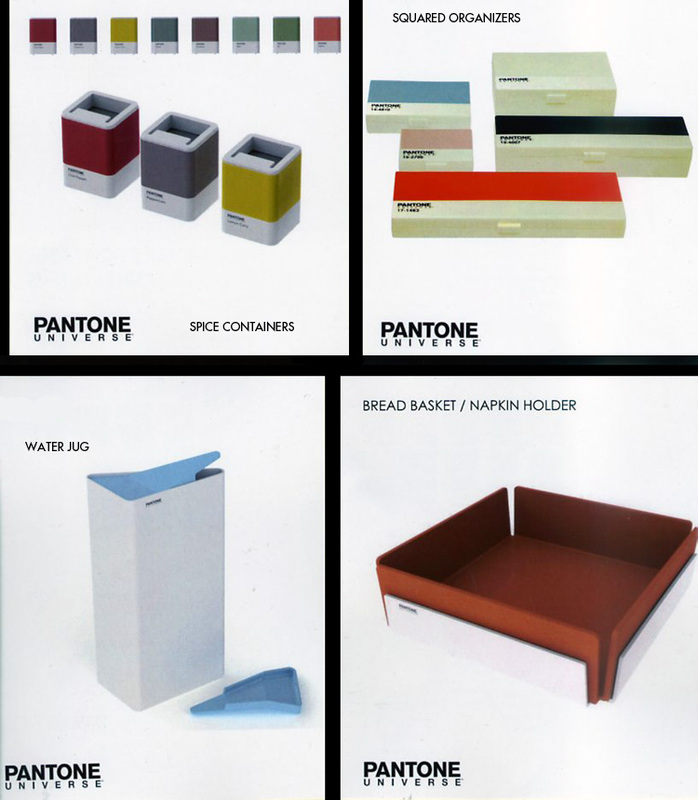 Sure, the Pantone products are always fun and appealing, but these objects would even be appealing sans the Pantone aspect, that’s how nicely designed they are. The Pantone colors and style are just an added perk! From the placemats and coasters, to the triangular water jug and stackable boxes, all these pieces are just great. And how is it that no one came out with the business card holders before?! The new line of products should be online soon, once ROOM Copenhagen gets their site up. Gift show photos by Collabcubed: catalog images courtesy of ROOM Copenhagen. This entry was posted in Event, Food, Fun, Industrial Design, Pop Culture, Stuff We Like. Bookmark the permalink. Who would have thought crockery could make a person salivate. For crying out loud Pantone, give it a rest. This isn’t what you do. It’s getting embarrassing now. 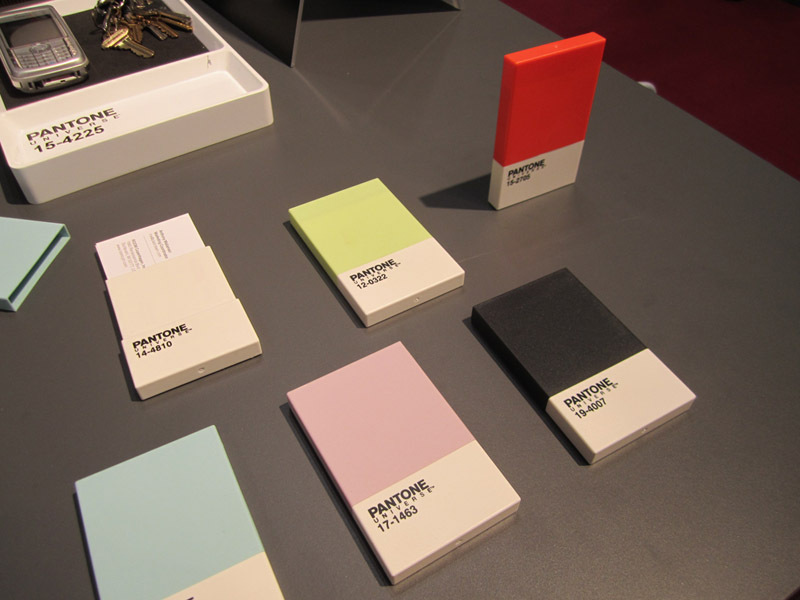 Is it Pantone doing this or people licensing the Pantone name? Can’t see why Pantone wouldn’t want to do that sort of thing. Ever heard about product marketing>? we feel it together / with SERAX PANTONE spirit…..